Home / Cult / Jamie Bamber / Mathew Macfadyen / Monday Mornings / Red Widow / Ripper Street / Robert Knepper / MID SEASON SHOWS (PART II) – What to watch what not to watch… That is the Question. MID SEASON SHOWS (PART II) – What to watch what not to watch… That is the Question. Midseason is pretty much going according to my reviews (MIDSEASONSHOWS – PART I). My favorite midseason shows The Following and The Americans have already been renewed for a second season. While my least favorite Zero Hour and Do No Harm have been pronounced dead. Premise: A woman with ties to the Russian(?) mafia is forced to continue her husband’s work after he is killed only days before he blows the whistle and goes to witsec. I wanted to like this. I actually like Melissa Rosenberg’s work, especially Dexter and I have to confess I did not hate the first two Twilight movies… but I don’t know… Red Widow was nothing remarkable. I did not hate it, it wasn’t the most horrible show either, but nothing grabbed me. I am not into this whole wave of ‘reluctant criminals’, we already had a bad ‘unwilling mobster’ show (The Mob Doctor) this year and Red Widow felt a lot like it. If you are going to make a show about anti-heroes, who would like to be good but can’t due to the circumstances, they have to be compelling and believable like Jax on SOA or just make a show about a criminal. I would be more interested in a story about the daughter of a mafia lord who embraced her criminal life than in these housewives ‘forced’ to be mobsters. What frustrated me most about the pilot is that Goran Visnjic doesn’t even appear until the last minute, so I may watch ep 2 just to see a little of him but I don’t think I could watch any further. The plot doesn’t seem to be going anywhere and I have a feeling this is another goner. Verdict: Are you sure this is a David E. Kelley show? Seriously, are you sure? I’ve only watched the pilot for this show, and I almost didn’t because I read SO many bad reviews. It wasn’t horrible… it wasn’t interesting at all either. Good things about it? Well the cast is great; it has Ving Rhames, Alfred Molina and Jamie Bamber. And… yeah, that’s it… I can’t think of anything else good to say about it. Perhaps if it had premiered 15 years ago it might have been considered reasonably good. The main issue is that there was nothing new about it, at least nothing they haven’t done on Grey’s Anatomy already [and in a much more interesting fashion]. Also, they were emphasizing the ‘medical’ aspect more than the ‘relationships’ between characters, and that could get boring really fast. Finally, you might hate or love David E. Kelley’s whacky style with hallucinations and neurotic characters, but this show had none. It didn’t feel like a David E. Kelley show at all! Perhaps he should stick to lawyers next time. How could the show have been better? It could have been less boring if James Spader was in it as a morally ambiguous doctor… named “Alan Shore”, hey why not? He was the best part of every E. Kelley show after all. In summary, it isn’t like it was painful to watch, but it did make me yawn more than one time. Don’t think I’ll stick with it. Also, can’t remember the last time I actually liked a TNT show, what’s up with that? Get it together TNT! Premise: A show about a show of a cult within a cult… or something like that… Basically it is about some charismatic evil character who gathers ‘followers’ to commit murders. Soundslike other midseason show you know? I don’t dislike Cult. It is getting terrible ratings, not so good reviews and they already moved it to Friday which is usually the step before cancellation. So, I really don’t want to get too attached to it. However, I don’t think it is among the worst shows of midseason, not the best either. It has some interesting things. They are making more emphasis on the whole social media than The Following, I like the cast and the mystery is interesting enough. It could potentially get good or become a complete train wreck, who knows? I am obviously not going to say Cult is better than The Following, but I think I like Robert Knepper just a little bit better than James Purefoy. Robbert Knepper is probably the ultimate villain; he is just so amazing at playing evil… He has a way of being disturbing and intriguing, creepy but still appealing. I am going to keep watching Cult until it gets cancelled which I assume will be really soon. They are giving its slot to re-runs of Beauty and the Beast so, at least I am not complaining about that. In a world where it feels there is a CSI for every major city in the US and many other similar shows, I thought re-imagining the genre was virtually impossible. Turns out that for a ‘new’ twist on the police procedural drama all they had to do was to go back in time! Ripper Street is not only a well written, well-acted show; it also feels so refreshing! It has the typical structure of ‘case of the week’ with an overlaying season arc, but the fact that it is set in the 1800s London makes it different. 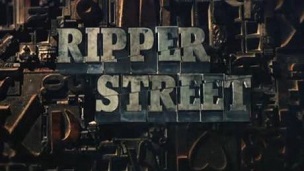 Current police dramas rely so much on technology and gadgets, which is obviously not the case for Ripper Street. No computers, no DNA, no high-speed car chases, just pure old-fashion police investigations. The cast is also great, the three main characters include: the investigator, side-kick and doctor played by Mathew Macfadyen (MI-5), Jerome Flynn (Bronn from Game of Thrones) and Adam Rothenberg (The Ex List). Love them all! I had a lengthy twitter conversation with my wonderful followers the other day about whether Mathew Macfadyen has lost his good looks. The conclusion was that he might not be as dreamy as when he played Mr. Darcy on Pride and Prejudice, but nonetheless he still has it… and he is a great actor, let’s not forget that. I’ve only seen the first couple of episodes of Ripper Street but it is definitely worth catching up with this show. A second season has already been ordered so, if you missed the first season watch it sometime this year.